WHEN: Sunday, February 10, 2019 at 4 p.m.
TICKETS: $30 General Admission. Students under age 18 are admitted free. Special VIP tickets are available for $75 and include attending the concert and a Meet the Artists reception that will be held at a private home. VIP ticket holders will meet the student and seasoned musicians, while enjoying appetizers provided by the Leonia Academy for Hospitality & Culinary Arts. Tickets are available at these Leonia businesses: Green Cura, 454 Broad Avenue and Pacicco & Co Jewelers, 331 Broad Avenue. Tickets may also be purchased online at HERE. General Admission tickets will also be available at the door on the day of the performance. For further information about the benefit concert, tickets, and sponsorship opportunities, call 201-951-8076, email leoniamakesmusic@gmail.com, or visit https://www.facebook.com/leoniachambermusic or http://leoniachambermusicians.org. The concert features a blend of Leonia and Edgewater music students performing alongside Leonia's professional musicians. The Leonia Chamber Musicians performing in this concert are: Theresa Norris, flute; Roy Lewis, violin; Maggie Speier, viola; Daryl Goldberg, cello; and Patricia Dougherty, bass. 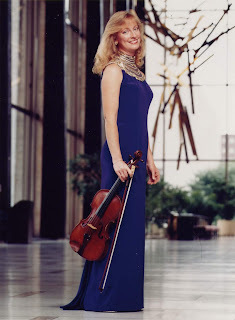 They will be joined by these five special guest artists: former Leonia High School student and The Juilliard School graduate, Samuel Katz, violin; Cynthia Phelps (left), Principal Viola of the New York Philharmonic; esteemed chamber musicians Barbara Mallow and Ronald Thomas, cellos; concert pianist Steven Masi; and internationally recognized soprano Wonjung Kim (below). Music for the program includes Johann Sebastian Bach Brandenburg Concerto No. 5 in D Major for violin, flute and clavier, BVW 1050 and Johannes Brahms Sextet in Bb Major for two violins, two violas and two cellos. Selections from the Broadway show Kismet and the Korean song "A Thousand Winds" by Hyo Kun Kim will also be presented. 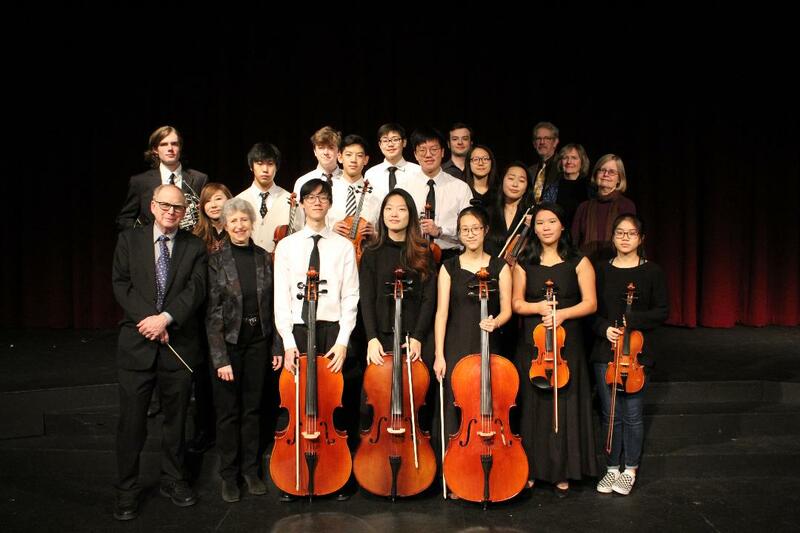 “This performance is a great opportunity for student musicians to come together to show off their passion for music," said Christopher Yi, President of the Leonia High School Orchestra. The benefit concert is presented in conjunction with Leonia Makes Music a NJ Non-Profit Corporation. Funds raised will defray the cost for Leonia High School music students attending the WorldStrides® Heritage competition this spring, where they will be judged by nationally acclaimed adjudicators. The experience has proved to increase students' self-esteem and skill set for growth. The students pay for the trip and do not receive any school funds to cover the costs. "I look forward to the school joining with the community for a night of musical beauty. Leonia and Edgewater are communities that fully support the arts and our schools," said Dr. Edward Bertolini, Leonia Public Schools Superintendent. About The Leonia Chamber Musicians Society, Inc. The Leonia Chamber Musicians Society, Inc., a nonprofit, tax-exempt organization, enriches the cultural environment of the community by presenting a series of high quality, affordable, and accessible chamber music concerts. The members of the Leonia Chamber Musicians are all professional musicians, who perform in the major concert halls of New York City. For more information on how to support the Leonia Chamber Musicians Society, Inc., contact Ms. Daryl Goldberg at 201-947-3923 or by e-mail at dgcello@aol.com. Leonia Makes Music a NJ Non-Profit Corporation’s mission is to enrich the lives of and empower students through the experience of musical study at Leonia High School. The organization works to procure funding and in-kind donations in order to reach its mission’s goals, support the WorldStrides® Heritage competition trip, and assist in providing supplemental instruments and supplies to meet growing students' needs.